Why Was the Mayor of Charlotte at Hygge? That’s a good question. There are always cool things happening at Hygge, but something extra cool happened last night. We hosted an event for The Atlantic—yes the magazine. 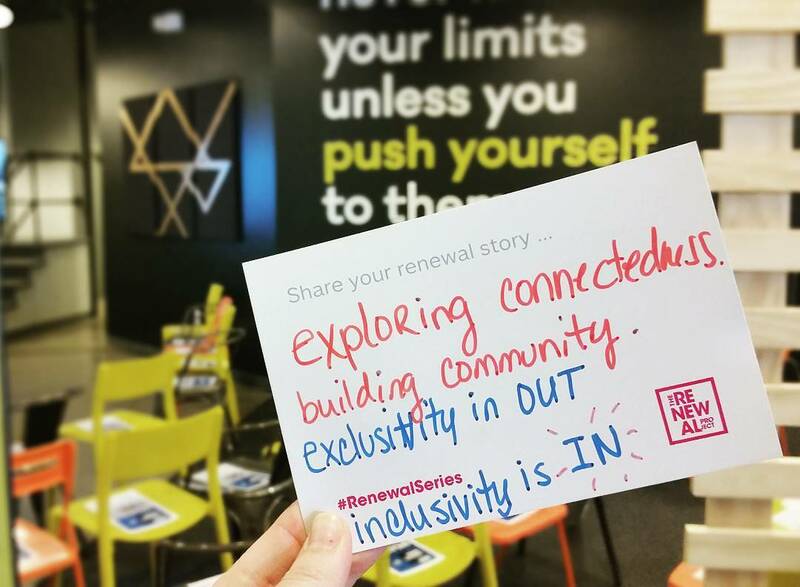 Its two-year-old Renewal Series travels across the country and made a stop here to explore entrepreneurship, innovation and Charlotte’s role in breaking down barriers. The event was moderated by Ron Brownstein, editorial director for strategic partnerships at The Atlantic. He did a one-on-one interview with Mayor Jennifer Roberts on the Charlotte landscape, how both state and national government have affected Charlotte’s growth, and how the city can improve itself in terms of upward mobility. “In Charlotte we have this ‘can do’ attitude,” Roberts said. But the city ranked 50th out of 50 cities in terms of economic mobility according to a 2014 study by researchers from Harvard University and UC Berkeley. Roberts said there are two Charlottes that are in stark contrast of one another. So how does Charlotte go about changing that? There isn’t a one size fits all answer, but Roberts said the key to an innovative city is technology, talent and tolerance. That comes in the form of help from the public sector, non-profits, big businesses, entrepreneurs and everything in between. Brownstein also moderated a panel of movers and shakers who delved into these same issues. City Startup Labs founder, Henry Rock, along with Ophelia Garmon-Brown, co-chair of the Mecklenburg Opportunity Task Force, and Charlotte Chamber CEO, Bob Morgan, talked about the harsh realities of economic inequality and how the city’s growth has attracted top talent, but also enabled generational poverty. Erik Spanberg from The Triangle Business Journal wrote a great recap of the event. Check it out here. Charlotte has a lot to offer. Who knows that better than us (a coworking space)? But there’s still work to be done. https://wearehygge.com/wp-content/uploads/2016/06/atlanticseries.jpg 792 1080 Sarah Headley http://wearehygge.com/wp-content/uploads/2018/04/logo-small-hygge-1.png Sarah Headley2016-06-15 15:09:412016-06-15 19:11:58Why Was the Mayor of Charlotte at Hygge?